The U.S. 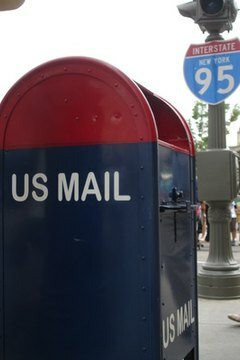 Postal Service fills the mailboxes of Americans with more than 1 billion pieces of junk mail each year, according to DoNotMail.org. A poll conducted by Zogby International found that 92 percent of junk mail is not read before it is discarded or recycled, yet just the act of opening it consumes eight months in a lifetime, says the Consumer Research Institute. In addition to annually destroying millions of trees, junk mail also increases your risk of identity theft, according to Privacy Rights Clearing House. You can greatly reduce the amount of junk mail you receive by filling out online forms and making a few phone calls. Sign up for the Direct Marketing Association's mail preferences service at its website (see Resources), or print out the form and mail it in. The association estimates that it will reduce your junk mail--including credit offers, catalogs, donation requests and retail promotions--by 80 percent. Call the number listed on unwanted mail and ask to be removed from the mailing list. If there is no phone number, return the mailing label with your address to their address and ask that your name be removed. Stop prescreened credit and insurance offers for five years or permanently at the OptOutPrescreen website (see Resources). The online form removes your name from lists supplied by the consumer credit reporting companies, Equifax, Experian, Innovis and TransUnion. Contact your bank and credit card company and ask that your name and information be kept private. A phone call followed by a letter is a thorough way to ensure that your request is honored. Sign up for the free service at CatalogChoice.org (see Resources) to reduce the number of catalogs you receive. Protect your personal information. When subscribing to magazines, filling out a warranty card or filing for a rebate, include a request that your information not be sold to other companies. Abbie Rumbach has been a professional writer since 1997. Her work has appeared various local newspapers, including the "Dubois County Herald," the "Evansville Courier & Press" and the "Midland Daily News." Rumbach received her Bachelor of Arts in journalism from Indiana University. Rumbach, Abbie. "How to Stop Junk Mail in Your Mailbox." , https://legalbeagle.com/6470226-stop-junk-mail-mailbox.html. Accessed 22 April 2019.